Ko Mataatua te waka, Muriwai te wahine toa. No reira. Tēnā koutou, tēnā koutou, tēnā ra koutou katoa. Hemaima Hughes of Whakatohea and Ngapuhi descent, is a mother of five, the nanny of six mokopuna, an independent nurse consultant, experienced clinician and educator. 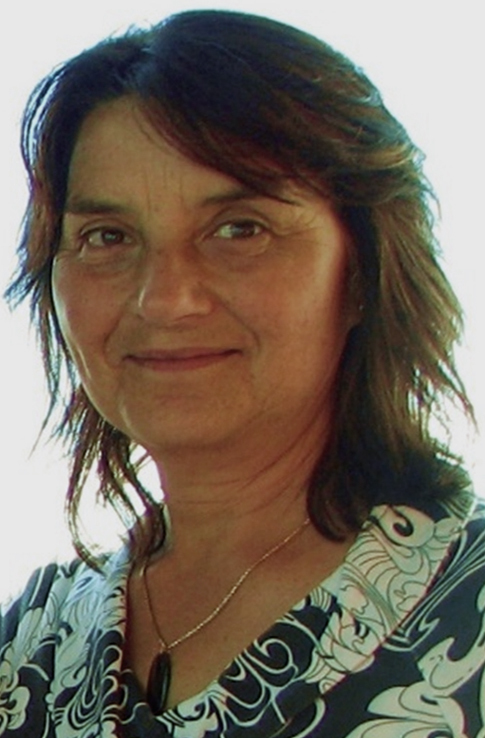 Hemaima developed Te Ōhanga Mataora Paetahi: Bachelor of Health Sciences Māori Nursing, Bachelor of Nursing Māori programme and was the Nursing programme leader for Whitireia Institute of Technology. At the age of 11, while a patient in Opotiki hospital, Hemaima was most impressed by the nursing care and decided she wanted to be a nurse. During her secondary schooling, she made it known she wanted to go nursing but was informed she didn’t have the right subjects and couldn’t be a nurse. When Hemaima finished college, she was sent to Māori and Island Affairs in Rotorua to work as a court clerk in the hope of becoming a Māori welfare officer. But one night she had a very vivid dream of being called to be a nurse, and she knew that is what she wanted to do. In 1973 Hemaima commenced her new graduate registered nurse experience as a missionary volunteer at Atoifi Hospital, Malaita, the Solomon Islands. Hemaima returned to Whakatane Hospital and was a charge nurse when she left for the birth of her first child in 1977. She later worked as a casual district nurse and did some practice nursing before returning to Whakatane Hospital. In 1986 the family moved to Nelson and Hemaima nursed at Nelson Hospital before being first seconded into nurse education and then in 1996-2003 became a clinical nurse educator/cultural safety coordinator on the Bachelor of Nursing program at Nelson Marlborough Institute of Technology. From 2003-2004 Hemaima was a part-time nurse manager of Ngāti Koata Health & Social Services and also a part-time teaching associate for Victoria University’s graduate nursing school. She now celebrates 49 years in nursing with expertise in Māori health, nursing programme leader, governor, manager, ethicist, researcher, clinical and cultural supervisor and policy constructor. Her master thesis ‘Whakaohonga Nā Kahungatanga Awakening from Addiction’ proposed wairuatanga, cultural identity and tino rangatiratanga (self-determination) as key to successful recovery from alcohol and other drugs (AODs). Hemaima is a committed nurse leader, past president (2013-2016) and current national executive committee member for Te Tau Ihu o Te Waka a Maui on Te Kaunihera o Ngā Neehi Māori o Aotearoa/National Council of Māori Nurses (NCMN). She is a member of the New Zealand Nurses Organisation (NZNO) and in 2013 the recipient of the NZNO National Services Award to Nursing and Midwifery. Hemaima became vice president of Whakatū Māori Women’s Welfare League. She is an experienced member of committees, councils and panels. Hemaima maintains her passion for nursing, succession planning, workforce development and continues to be a change agent working collaboratively, communicating effectively, sensitively and respectfully, creating empowering environments of holistic healing.